From Pororo Park to Amazonia, kids in Singapore are truly blessed with some of the best indoor playgrounds in Singapore. If you wish that adults had fun and exciting playgrounds as well, you’re in for a real treat. Come November, you’ll have chance to be a kid again because SuperPark is coming to town. This coming 17 November, an indoor activity park brand ‘SuperPark’ is coming to Singapore. Founded by Finnish businessman Taneli Sutinen in 2012, the first SuperPark opened in Finland in 2012. Singapore is the 2nd country in Asia to have its own SuperPark. 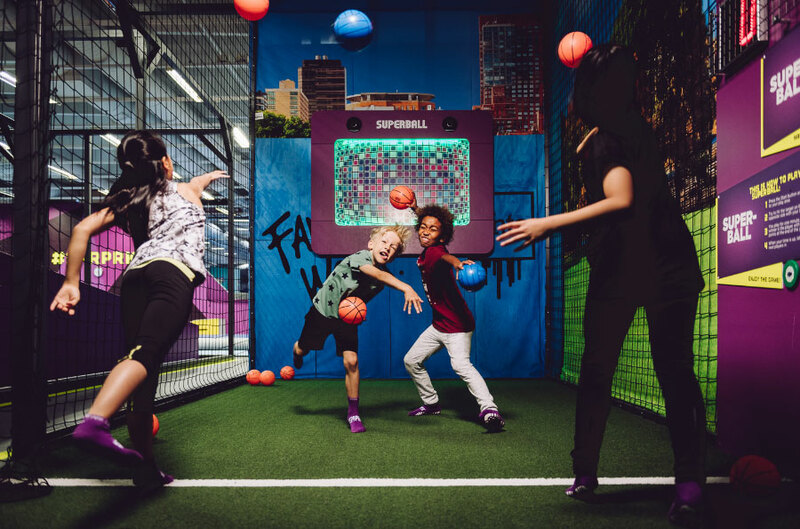 There’s a host of activities to look forward to at this new indoor super playground. Offering more than 20 activities in three themed zones for Singaporeans of all ages, there’s something for everyone. SuperPark will be located at Suntec City Mall. And at 40,000 square ft – it’s roughly around three-quarters of a football field. Day Passes for the park are tentatively priced between $22 and $48. Here’s what you can look forward to once SuperPark opens this coming November! Unleash your inner child at the Adventure Arena as it has everything you can ever dream of. Obstacle walls, trampolines, zip wires, slides, play towers, pedal car racing track, you name it, SuperPark has it. Need a place to show off your skills to your friends? 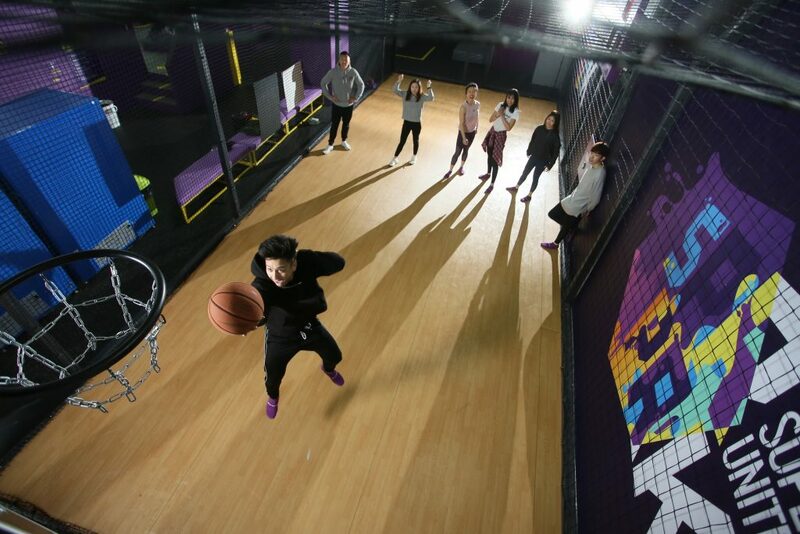 Here at SuperPark’s Game Arena, you can compete in everything from basketball to baseball. Don’t need to keep score as performance is measured by radar and other digital systems. 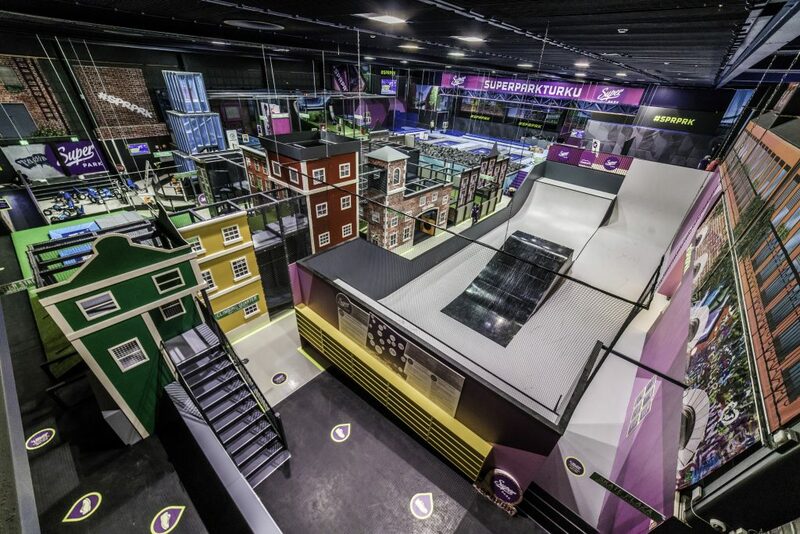 The Game Arena is a great place to practice your baseball swing and pitching, test the power of your slap shot and hone your accuracy on the basketball court. Always wanted to try out parkour? 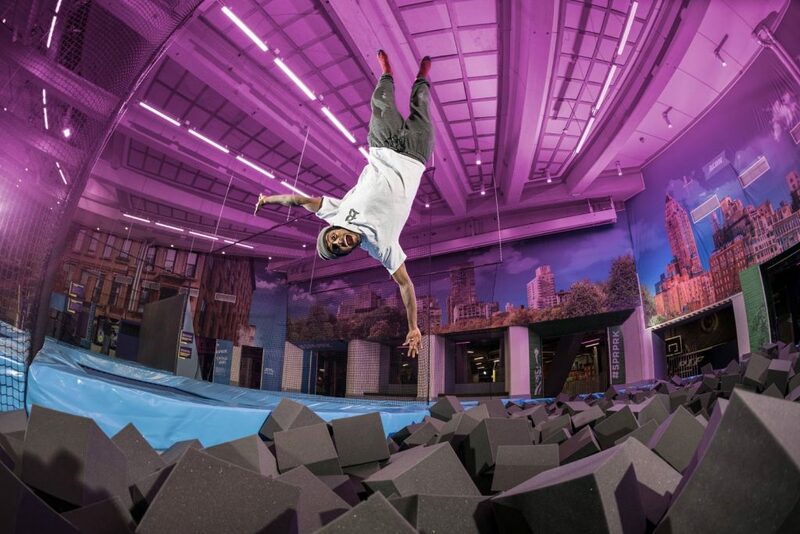 SuperPark’s Freestyle Hall includes a parkour course and gymnastics floor, as well as trampolines and foam pits. You don’t have to worry about hurting yourself as the Freestyle Hall provide a safe environment for putting your skills to the test. 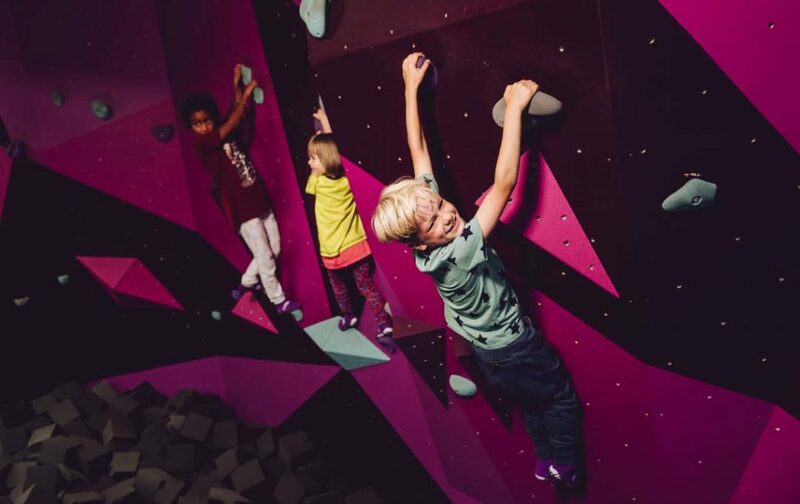 You can also challenge yourself with the super climb, a tailor-made climbing concept, or partake in the ninja warrior obstacle course. Best part is, you don’t need to be pro to try out any of these activities as the experienced staff – many of whom are recognised coaches will man the park and help you out. You’re bound to get hungry after all that playing. 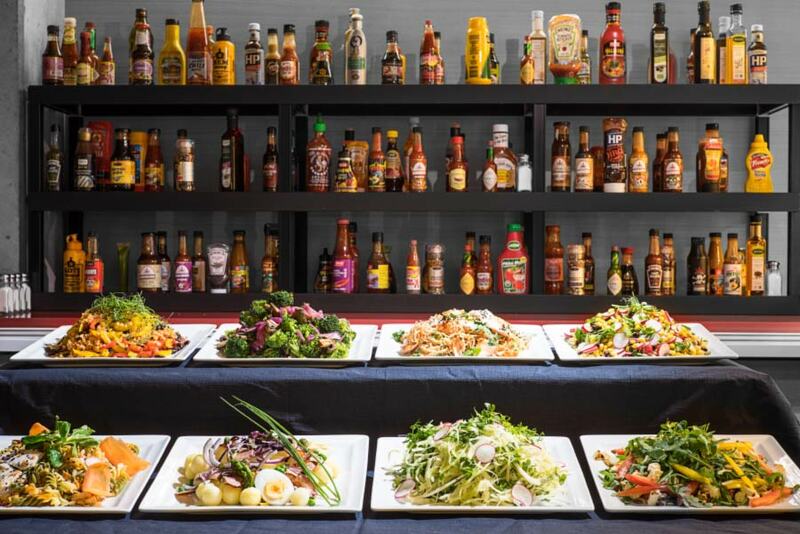 SuperPark got you covered with their extensive buffets that includes burgers, hot dogs and fresh salads. Famous for its family-centered approach to having fun – children, teenagers and even parents can all play, be active and have fun together.